Integrate an attractive block on your store homepage to display product tabs of your website. 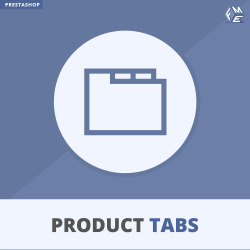 Home Tabs Module allows you to assign specific product to each tab. Merchants can create tabs for Bestsellers, Sales, New and Recommended etc. on home page to highlight more products. A stylish block will appear on homepage after you have installed the extension. The admin can unlimited tabs to that block and attach display products under each tab. This helps merchants to highlight their best products and increase sales. This is great for my business, instead of sticking my products through coding I can display them under tabs and can display more products.